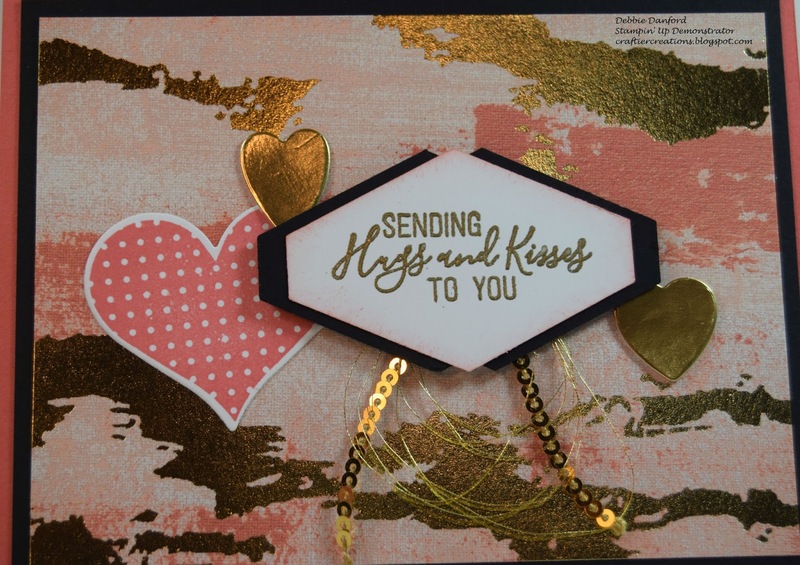 Have you seen the new Painted with Love Specialty DSP. Isn't it just gorgeous. The paper makes a card all on it's own. 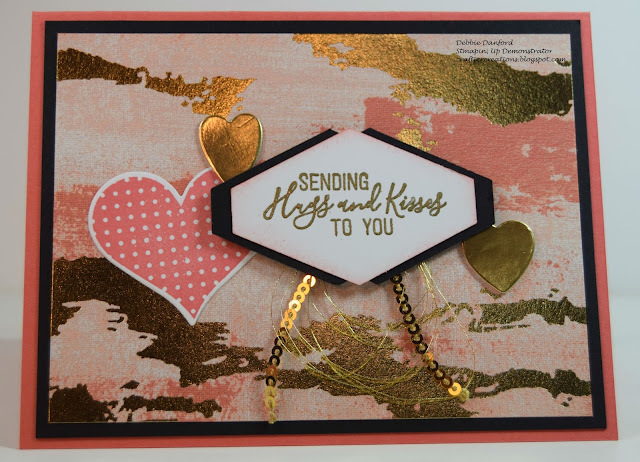 Stamp the dotted heart in Calypso Coral and die cut. Die cut two more smaller hearts out of the Gold Foil Sheets. Punch with the new Tailored Tag Punch. Punch a separate piece out of Basic Black and cut down the middle to layer it it. Attach the Gold Sequins Trim and the Gold Metallic Thread to the back of the Basic Black piece and attach that with dimensionals.